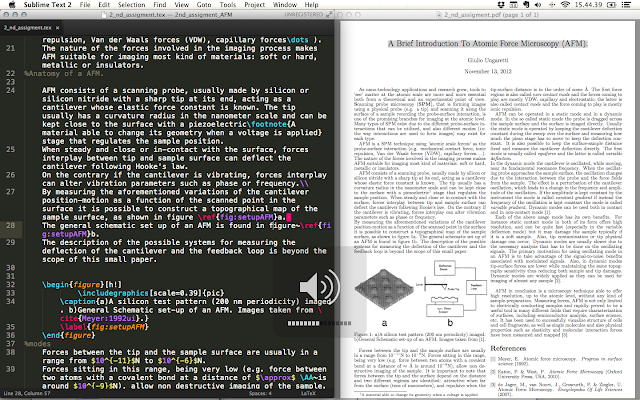 research 2.0: LaTex editors war! 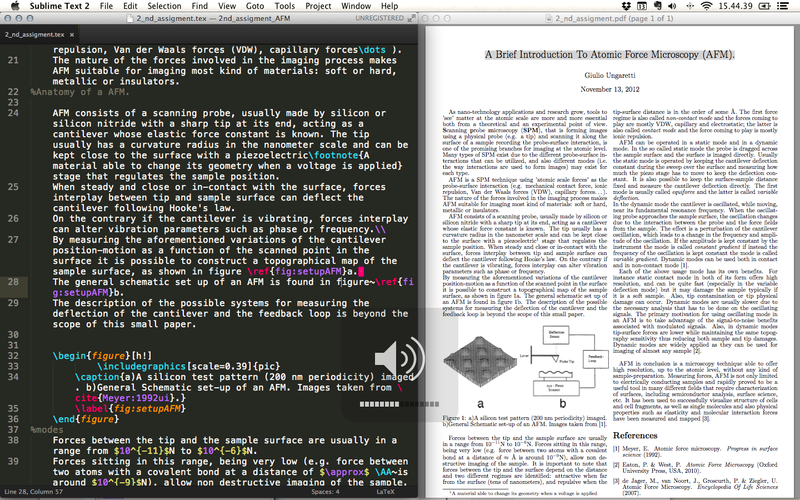 Sublime text 2 with sublimeLATEX is a bit more hard-core but super powerful. Imagine a TeXshop on steroid, with user configurable everything. 2-it costs a lot 60 usd and you have to install skim. 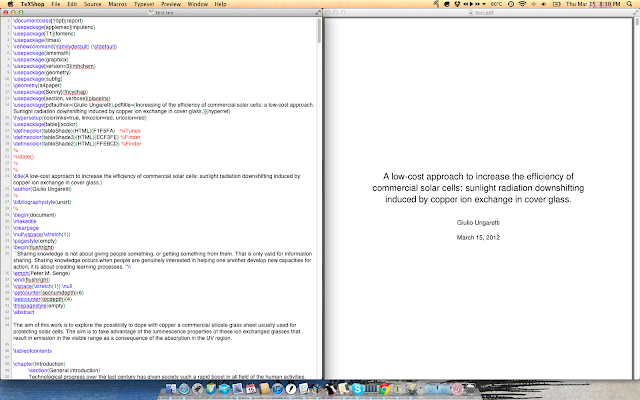 TexShop is the de-facto default LaTex editor for osx as it comes with the latex distribution. It has a lot of pros as it is fast an light and really stable. It supports autosave and full screen. The downsides are mostly that at times is too bare, without bits and stuffs that make your life easier. It has no navigator which makes it really unfriendly to use for big files. Lastly texshop creates a load of auxiliary files when typesetting you have the opportunity to trash them with a command, but in my opinion they should be trashed automatically as they create problems. Oh and yes, it's completely free. Interface is by far the most ugly thing in the world. 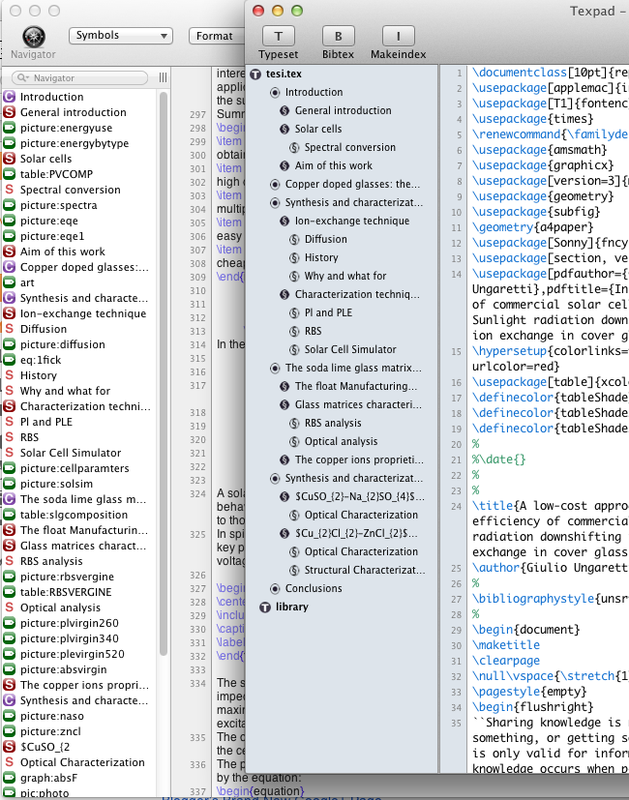 But TeXmaker is what I call a Swiss knife for latex stuff. 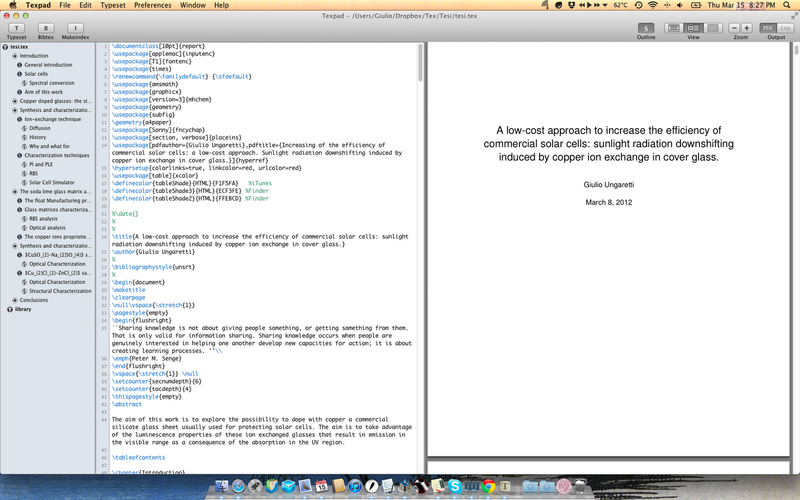 It has everything a newbie needs to start using latex, and it has the best error reporting console. The structure viewer is ugly but clear and useful. Unfortunately it doesn't support autosave and fullscreen of osx lion. 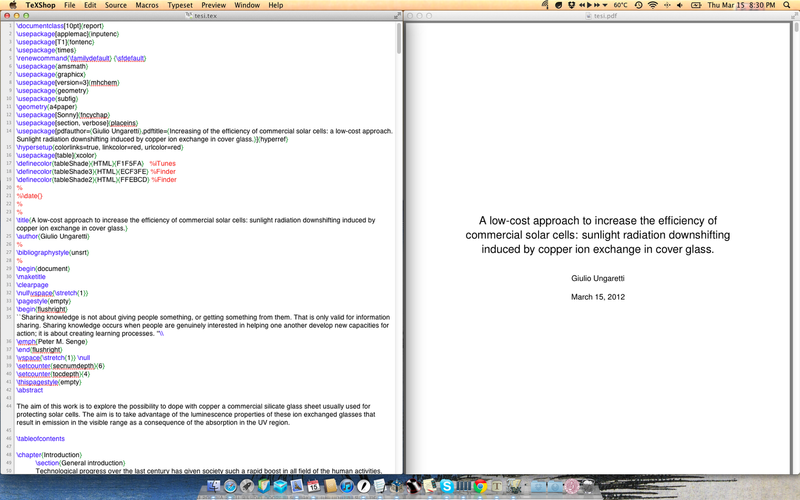 Another problem I have is the zoom in the pdf preview isn't fluid or easy. Did I mention is also free ? 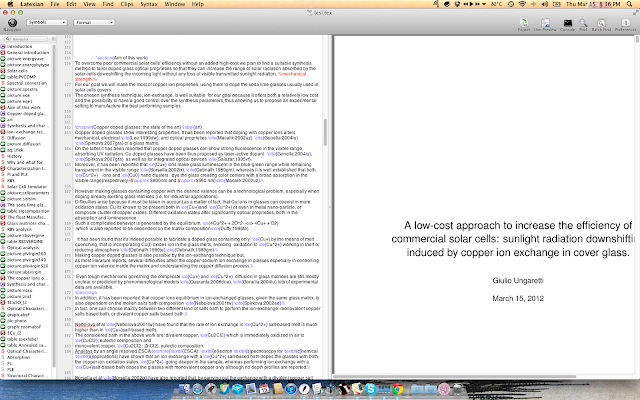 Latexian is a strange latex editor because it blends a nice interface with a new approach that is live updating pdf preview. 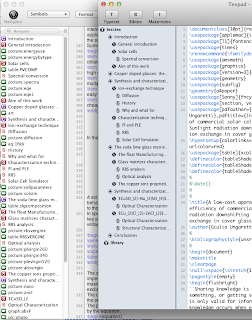 The features of this editor are really complete as it features a navigator, code coloring and folding, code clips for automating the same code entries and code completion. Code completion and the auto updating live preview are both a big pros and a cons. In fact code completion is nice as it also features a nice description of the code you're entering but is not that easy to call as you have to use cmd+enter. Navigator also gives you the opportunity to use your own bookmarks but if you want to know why it's not perfect read till the end of the post. Also, autosave and fullscreen of osx lion are supported. Texpad is a good looking editor. I really like to think of it as the magic sentence "it just works" . It may not have the same features of the cheaper latexian but it's a lot more lightweight, fluid and sable. Actually the only features that are really missing as of now are code folding and lion autosave support. Where texpad excels is in the autocompletion. Hit backslash start typing and voilà a semi transparent popup appears, scroll to the desired autocompletion hit enter once to complete twice to put also the corresponding closing coding. 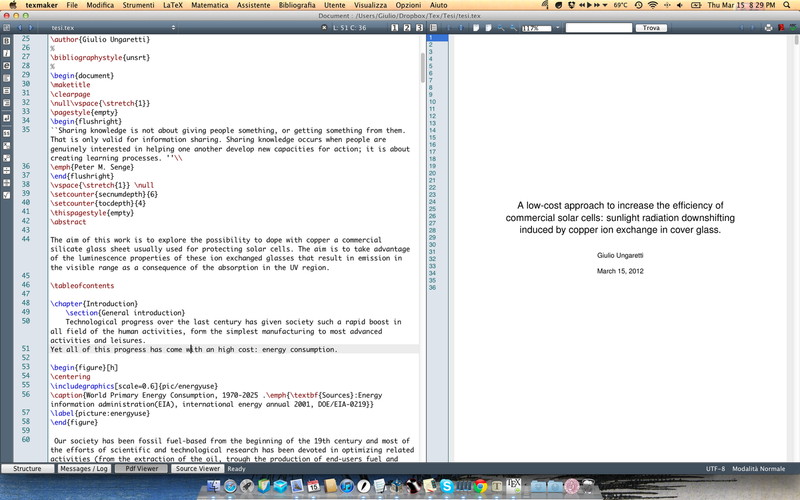 Autocompletion never failed thus making me focus completely on writing. I've found latexian's navigator to bee slow at times, moreover the non indented tree structure is not readable at a glance the black and withe indented tree structure of texpad is gorgeous and useful. I'd say texpad has a "minimal" approach. The free editors are on par, it depends on you. The two paid editors are both super nice editors and they are both correctly priced. 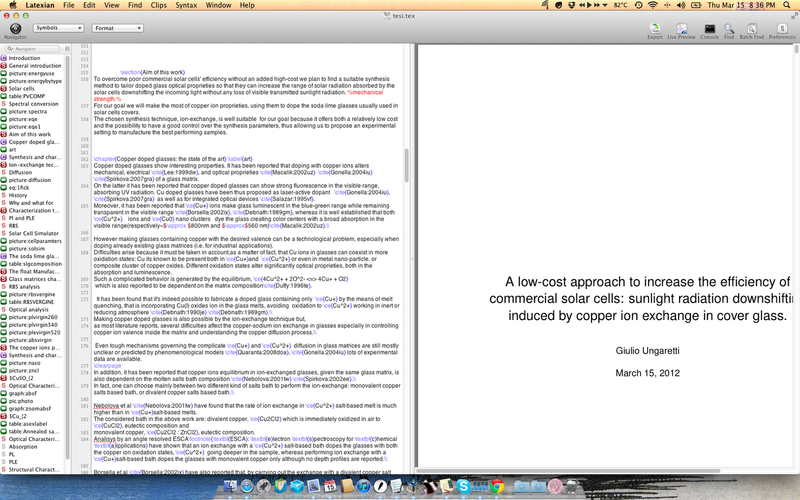 Choosing one of them is a matter of your personal taste, but Texpad is by far the best looking/working (save for a minor dropbox bug, that is being fixed) latex editor for mac.